Carmel, IN – Buying a Home? If you are thinking about purchasing a home in Carmel, IN you are likely getting a lot of advice from all sorts of sources. Although your friends and family have your best interest at heart they may not be fully aware of the current Carmel, IN market or your exact real estate needs. You may wonder if now is a good time to buy. Answering these three questions will help you determine if now is a good time for you to buy a home, or not. Why am I buying a home? Finding your motivation for buying a home is essential. More times than not it isn’t actually about money and instead non-financial reasons. Being able to answer this question should be the biggest reason you decide to purchase or not. Where are home values going? Home values are projected to increase over the next 12 months. So what does that mean to you? If you wait a year the homes you are interested in now will have grown in price and therefore your future down payment will need to be higher, assuming you do not want to raise your monthly costs. Where are mortgage interest rates going? Just as important as the price of your home is the percentage of interest you will pay for the life of your mortgage – for the next 15 – 30 years. Even a small increase in interest rates can add a significant long term cost to your home, over the course of the loan. 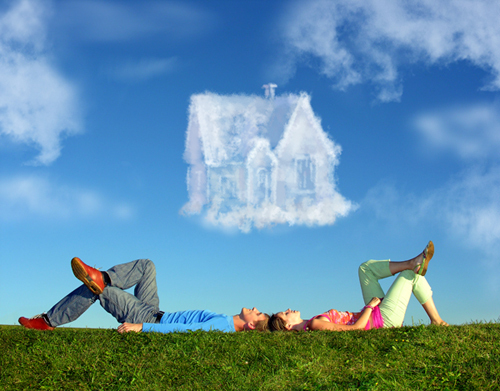 The bottom line is only you and your family will know for certain if now is the right time for you to buy a home. If you decide now is the time and are looking to enter the Carmel, IN real estate market in 2016, please be sure to contact a Carmel, IN real estate agent. We are happy to help you find the perfect home for you!